Well that is….. something? 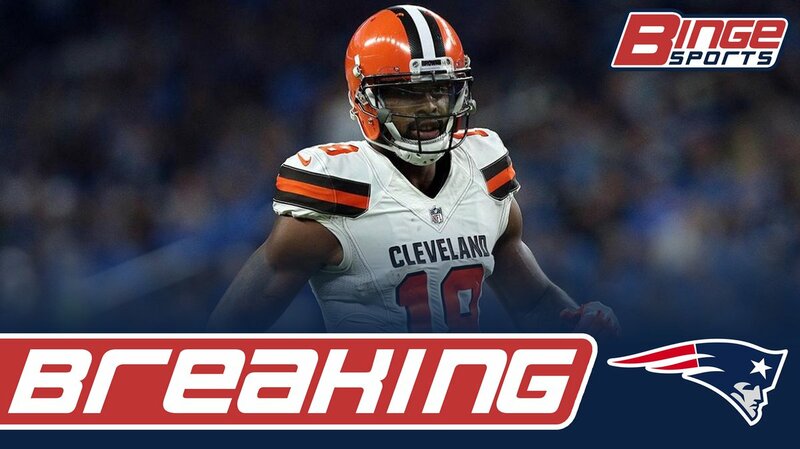 Kenny Britt, who just got cut off the winless Browns, signed with the team he turned down in the offseason. Yes, Kenny Britt picked the Browns over the Patriots just last summer. Now am I gunna hold that against him? Hell no. He chose the bag (4-year, $32.5 million) over winning. In a sport like football, I am fine with that. However, what I am going to hold against him and what I am not fine with is him signing the contract and then giving up. The dude legit signed the contract and then never once gave an ounce of effort. And because of that, the 0-13 Cleveland Browns cut him and he went unclaimed through waivers. So am I excited that we just got a (former Rutgers) Wide Receiver who we coveted in the offseason? No, not really. I am not even as excited as I was last year when the Patriots pulled a similar move by signing Michael Floyd. Maybe Kenny Britt will do something during his time in New England, maybe not. But I am not holding my breath.